Thank you, Eurocom.ca, for delivering exactly what I wanted and needed, in literally less than 24 hours for the standard shipping option! So, the GPU saga is over, and now I quit smoking when my pouch of American Spirit runs out sometime tomorrow. There's one more thing I want to say about the company that sold me the GPU, and I can't find a better place for other people to find this. 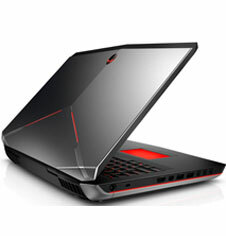 I bought my GTX 970M upgrade for an Alienware 17 from Eurocom.ca. I was skeptical of the company, because I read mixed reviews about them, and their website seemed slightly backward, but maybe forgivable for a small company. (I know what small business Web development looks like.) I just finished a basic stress test, followed by a bench mark, followed by a more rigorous "burn-in," and I'm very happy with the results. When I was considering buying the card, I wanted to talk with a sales representative. I emailed their sales department in the middle of the night after coming home to a burnt-out GTX 860M that day, and they emailed me back before I woke up for work the next the morning. I was on the phone with a sales rep. before 10 AM that morning. He was very helpful and patient with my questions, He told me they have a 30 day return policy, when I asked. He actually asked me if I was confident in my ability to do the installation without trying to up-sell me install services or unnecessary accessories, and he made feel a lot better about buying from the company. I asked him if there were any "gotchas" to look out for the installation, and he noted that I was already buying the bigger heat sink, and that I needed a bigger AC adapter that they didn't sell, but I should be fine beyond that. I placed my order that morning, with the standard shipping option, and it arrived literally less than 24 hours later, with an extra set of heat pads. (Just use the one set, by the way.) I bought the AC adapter from a different company, and I had to wait til today to get the adapter to install the card. Everything I needed for the installation except a screwdriver (and a scissor to open the static resistant packaging) was in the box. The heat sink had pads attached already in exactly the right configuration. The company had produced a number of very helpful, clear, specific, yet concise, installation videos. Between the pad placement on the heat sink and the videos, anyone who was reasonably careful could have done the installation adequately. After the stress tests, it's clear that I got the installation right, on the first attempt. The company also provided drivers, with instructions. Windows automatically installed an ancient Nvidia driver for me, then I looked at Eurocom's drivers. They were unsigned modifications of the Nvidia drivers, (as advertised, with instructions for installing unsigned drivers,) but they are also only less than 3 months old. It's only been a matter of hours, but the driver install was basically painless, and it works great, so far. Thank you, Eurocom.ca, for delivering exactly what I wanted and needed, in literally less than 24 hours for the standard shipping option. I am extremely satisfied with my purchase, particularly because you made the installation painless for someone who had done a number of computer upgrades, but never replaced a laptop GPU before. If they have compatible upgrades for your machine, I'd recommend you to buy from them anytime.